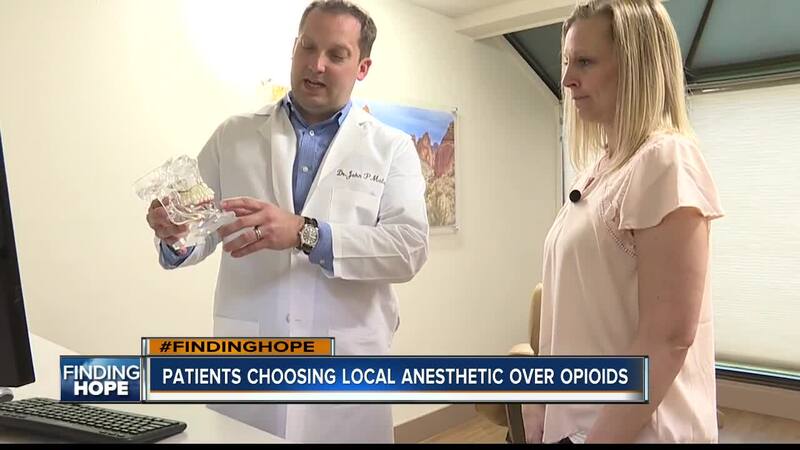 With more and more Idahoans falling victim to opioid addiction, we're taking an inside look at one replacement therapy option available right here in the Treasure Valley. Although many Idahoans struggle with opioid addiction, prescription painkillers play a major role in health care at the end of life. When patients enter hospice care, opioids are key to providing comfort in their final days and weeks, but hospice employees are faced with a difficult situation after the patient passes. 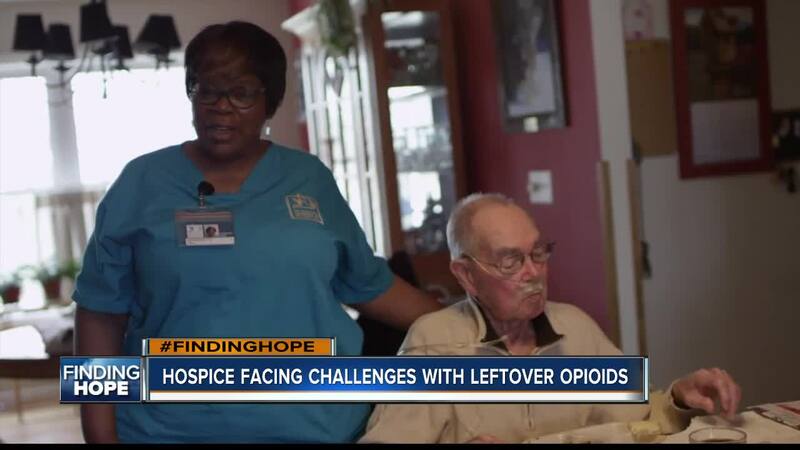 In 2014, the DEA changed the rules around hospice , saying at the time of a patient's death hospice employees are no longer able to dispose of leftover medications. That's something hospice workers from all over the country - including here in the Treasure Valley - are trying to change. "So what happens is, those opioids are left with whoever's in the home," Treasure Valley Hospice Clinical Director Terri Ahrens said. "We can't physically touch the medications ourselves." Right now, hospice workers aren't allowed to dispose of leftover controlled substances, instead, just advised to educate family members on the best ways to take care of it. "If the family says, 'I don't want to dispose of those medications right now,' we leave. And that opens up the door the possibilty of diversion of those opioid medications," Ahrens said. The concern there is the pills make it into the hands of someone else; A younger relative or a struggling addict. "It might go to other family members, it might go to neighbors, we've heard all kinds of stories about people knowing a patient was on hospice, maybe a neighbor, and they come in and suddenly medications end up missing," Ahrens explained. But legislation circulating on Capitol Hill could change that. H.R. 5041 , or the "Safe Disposal of Unused Medications Act", would allow hospice employees to dispose of controlled substances left behind after the patient's death on site. In Idaho, the disposal would happen at the patient's home, by putting the medications into a sealable plastic bag along with an undesirable material like bleach, laundry detergent or cat litter, then sealed and discarded in a trash receptacle. "Our legislators were like, 'This is a no-brainer, it should pass,' so we're confident they'll support it when it comes up to vote," Ahrens said. We reached out to Idaho’s House members to ask them how they would vote on the change in law. After reviewing the bill, Representative Mike Simpson’s office confirmed he has now signed on to be a co-sponsor of the effort, adding his name to the list of lawmakers hoping to change the law and help hospice prevent opioid abuse.